There is no sign for those driving by, no indication there is a business just behind the tree line off Weaver Hill Road in West Greenwich. But anybody who has lived in town for any length of time knows if they need a hard-to-get part for their car or truck, there’s a pretty good chance they will find it somewhere on the more than 130 acres owned by Norman “Junior” Carpenter. “We used to half-jokingly say that half the town didn’t like it, and the other half of the town went there Saturday to get parts,” said West Greenwich Town Administrator Kevin Breene, who has known Carpenter for more than 50 years. Breen has watched Carpenter’s junkyard grow into a source of town and state concern and an attempted intervention for more than two decades. More recently, Carpenter found himself the target of a lawsuit by an adjacent property owner, who says it’s gotten so out of control that not only has the junk ruined his own property values, it poses a safety hazard if fire or rescue crews ever tried to make it up this access road. “At one point you could risk your life coming up here because you couldn’t get through the road. 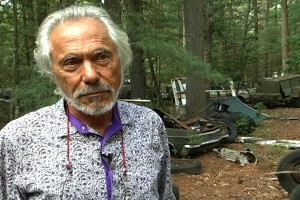 There was trash and glass all over the road,’’ said John Assalone, who owns land that borders Carpenter’s property. “We had the property here before there was a junkyard. He has no right, even in the area where we are right now, he has no right to junk any of this area,” Assalone said, as he gave us a tour of the land. There have been four different consent decrees since 1993, signed by various parties, including Carpenter, the town and the state, which officially regulates all junkyards in Rhode Island and issues yearly licenses. But there has not been much to show for the agreements. 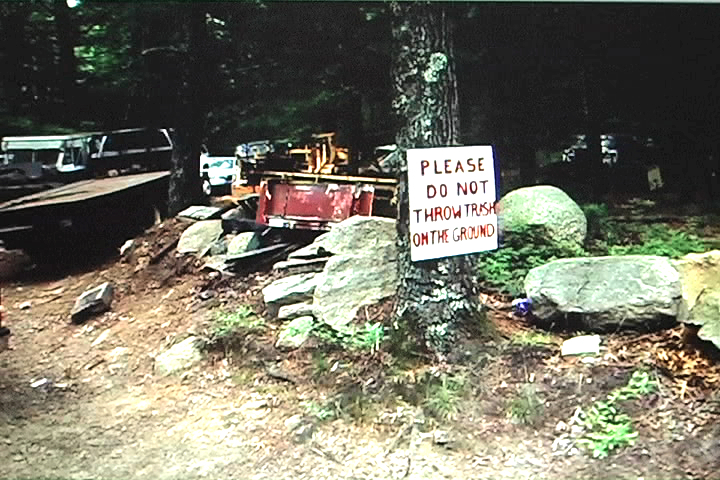 In 2012 Carpenter agreed — in writing — to begin cleaning up the property and had three years to do it. The deadline came and went this past June, with no substantial cleanup. Breene says the state needs to step in and put some bite behind its bark. And the new director of the state’s Department of Business Regulation (DBR) says he agrees, acknowledging in an interview with The Hummel Report that the agency has dropped the ball when it comes to forcing Carpenter to clean up his junk. “The property owner believes that he’s gotten a lot of work done, and no one else agrees with that outcome. 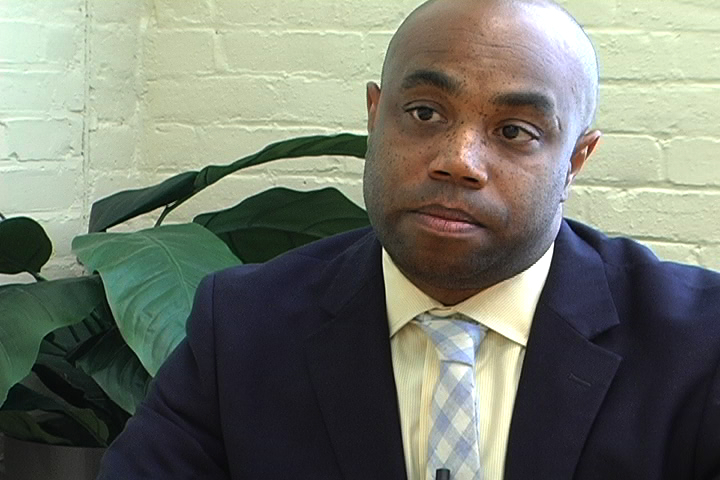 We have not had consistent and effective interactions with him to ensure that’s the case, and that’s something we need to fix,’’ said DBR director Mackey McCleary. Carpenter declined our request to be interviewed for this story, but his lawyer told us his client has been removing some scrap every week and is open to suggestions on how to clean up the property going forward. Unfortunately, he added, the bottom dropped out of the scrap metal market a couple of years ago and it has been difficult to attract businesses to come in and clean the property. Jim Hummel (Motif): You know, there are some people out there who will say, “Look, it’s out of sight, out of mind. It’s this guy’s property, just leave the guy alone.” What would you say to that? Mackey McCleary: That’s how we got here. I think that at the end of the day — especially when you’re talking about a property that size — the salvage and scraps are not just on the property. In some cases they were. Part of the consent order is that they were on neighbors’ properties. And they impact the ability of, for example, emergency services to get up and around that road. McCleary said he plans to meet with Carpenter and state and local officials to come up with a game plan and concrete deadlines to finally fix the problem. MM: There is no chance that under my watch this is going to continue for three more years , five more years, 10 more years. It’s a non-starter. We can’t continue to allow this to happen. It’s unfair to the neighbors, it’s unfair to the environment. We have to get to a solution and if I can’t come to a clear solution with the parties in mind, we will find another way to get to the solution from a state level. But we will get there.